Heading to the Cotswolds? Sure, we all know it’s a fab place for a family holiday, romantic weekend à deux, or even the perfect spot for a huge girly get-together, but do you know the ins-and-outs, the different character and personality of each town and area, the nitty gritty of what the county has to offer? 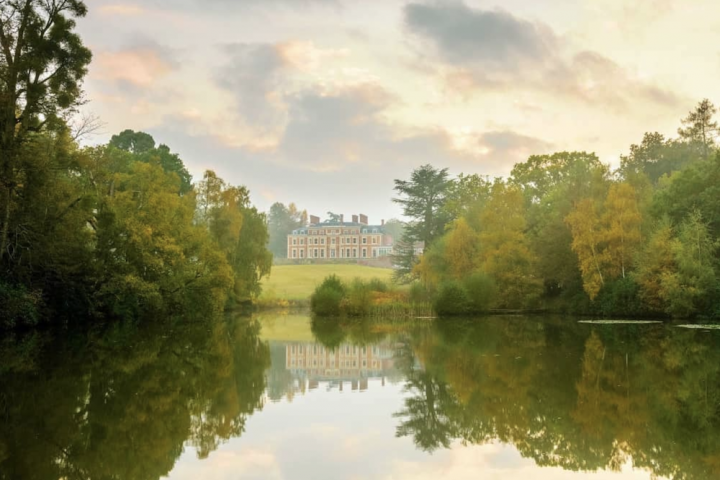 Well, fret not, as we at Muddy have teamed up with the #intheknow guys at StayCotswold to do the hard snooping for you, and we have come up with a fab list of where to go and stay across the region. Nestled in the Cotswold Hills with the River Coln running through it, Fairford is a former coaching town and still has the inns housed in gorgeous 17th- and 18th-century buildings to prove it. The Bull at Fairford is particularly nice and attracts a healthy number of locals as well as visitors. The famous military airbase (from where Concorde made its maiden flight) puts on a fab air show every year and helps keep the town buzzing. The outstanding state secondary Farmor’s School also attracts a lot of families who make sure things never get sleepy. Our Muddy pick is Yew Tree Farmhouse, a huge Georgian farmhouse with open fires and a games barn with table tennis if you can pull yourself off the sofa. There are stunning walks in even more stunning countryside, seven bedrooms, plenty of bathrooms and a huge sitting room. The Romans had a good nose for rooting out where best to live and they certainly hit the jackpot with Corinium, as they called it. A thriving shopping destination, there are boutiques and bookshops, foodie outlets and arts spaces, cafés and restaurants aplenty. The architecture is so pretty it makes you ache, but there’s nothing set in aspic about the town with its vibrant schools and leisure facilities (the outdoor pool in the centre is utterly charming), burgeoning businesses and bustling vibe. There are some fab shops and caffs – see our Eat Out section for the latest in where to scoff and quaff. 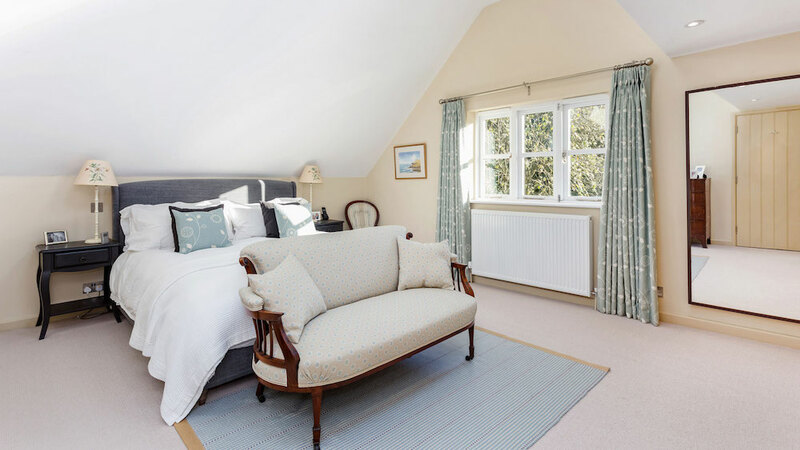 Our choice is The Old Farm, a traditional Cotswold stone house in the picturesque village of Ampney Crucis, 3 miles away, and perfect for easy access to the town. 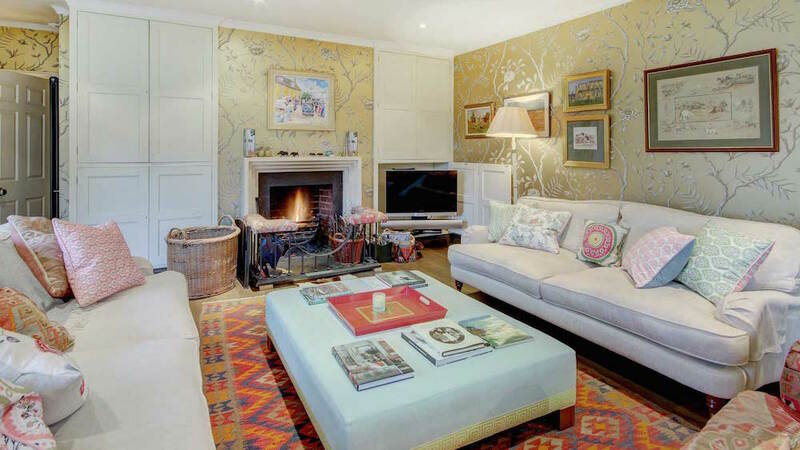 It sleeps 6-8 in 6 bedrooms (so perfect for a large family) and has loads of entertaining space both inside and out. On the cusp of the Cotswolds, Malmesbury rattles with echoing footsteps and gorgeously ancient buildings (think crooked cottages and huge townhouses with gothic arches) but has a bustling high street with some really fun shops and cafes. 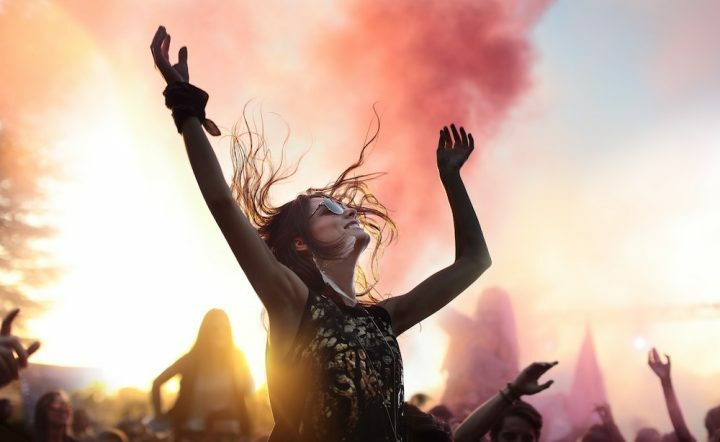 The Old Bell Hotel in the heart of town – England’s oldest hotel – has fantastic food, luxurious rooms and runs events such as funky Gin Tasting nights and jazz soirées. Newleaze Farm is an impressive family farmhouse in a rural setting, recently decorated so it’s tip top when it comes to style and comfort. There are 2 pubs within walking distance and the village shop is close by. It sleeps 8-10 in 4 bedrooms. A super chi-chi market town bursting with history and tempting places to spend your money, this des-res with its film set-ready Cotswold honey stone architecture offers idyllic country life with a peppy dash of urban cool – think Notting Hill-style fashion boutiques and pubs, bars and restaurants you’d travel two hours from the metropolis to experience. And, even better, underneath the fancy veneer lies a proper community where you can put down roots and flourish. 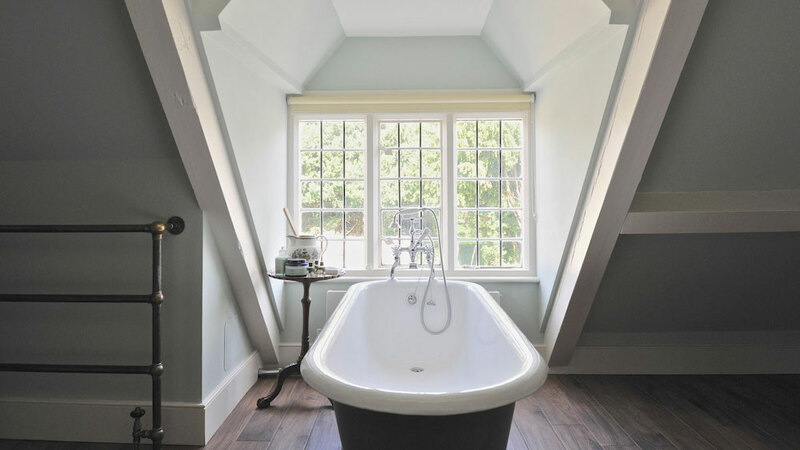 Situated in a secluded valley close to the classic Cotswold town of Stow-on-the-Wold, Old Brewery House is a Cotswold retreat with a difference. Located on a working brewery, much of the original charm and character has been retained and rooms enjoy stunning views across the private lake. 4 en-suite bedrooms can be doubles or twins, making the property ideal for groups. 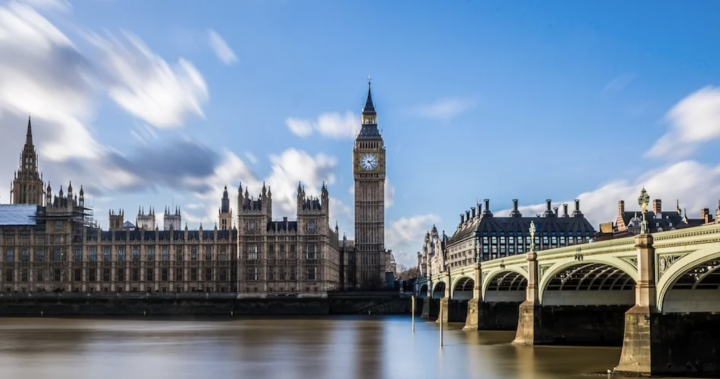 With the Thames at its heart, this pretty town offers lots of river-based fun – boating, fishing or just walking along the river path – and also has some standout pubs, antique shops and a rather fine family-run butcher, greengrocer and deli. It’s a proper community with lots going on, including a fab music festival in May where Status Quo have headlined at! It’s a place where you can get stuck into local life and really bed down. There’s a good state school primary and the excellent Farmor’s School state secondary in nearby Fairford. 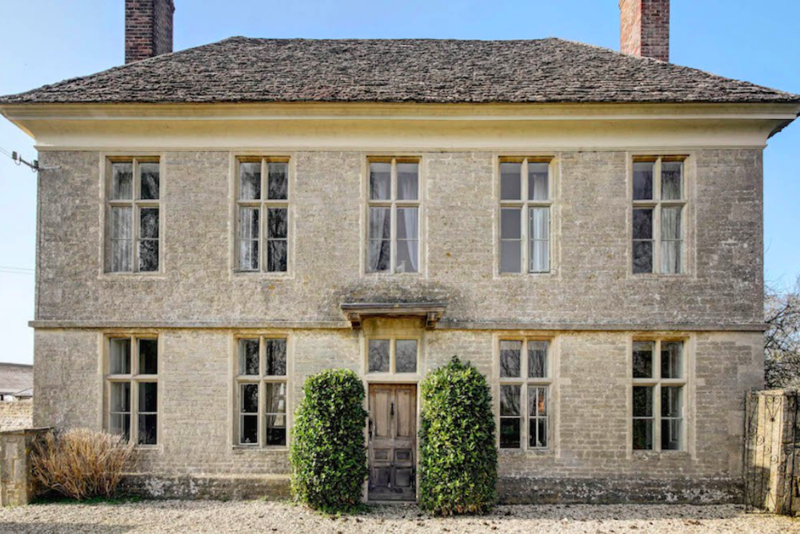 Manor Farm is a unique opportunity to stay at a beautiful manor farmhouse dating back to the 16th century. The huge garden is stunning, with acres of lawn, vegetable garden and orchard, plus swings, trampoline and zip wire to keep the kids busy. 6 bedrooms sleep 8-10 guests. 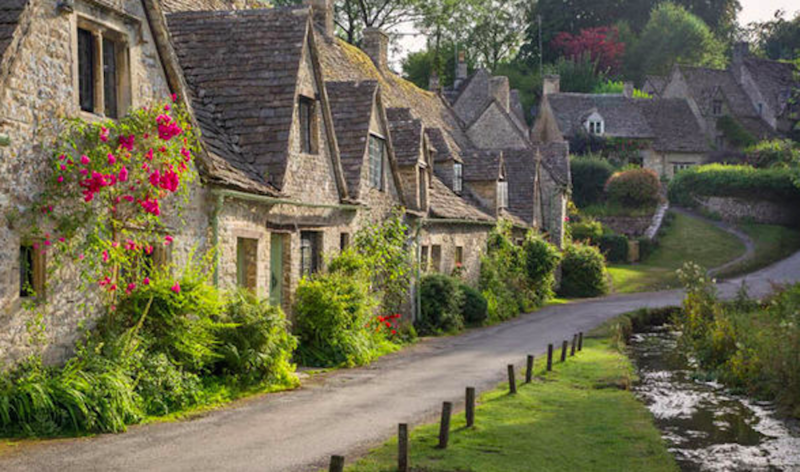 There’s a lot to attract tourists to the so-called ‘Venice of the Cotswolds’ which has the River Windrush running through its heart, not least its 1930s scale replica Model Village ­– and there’s also the Cotswold Motoring Museum and Birdland, so it’s something of a perfect family day out. But away from the sightseers, it also has a lot to offer as a place to live, partly because the tourists help keep it vibrant. There are lots of ‘real’ shops and as well as a good state primary, it has an outstanding state secondary in The Cotswold School. 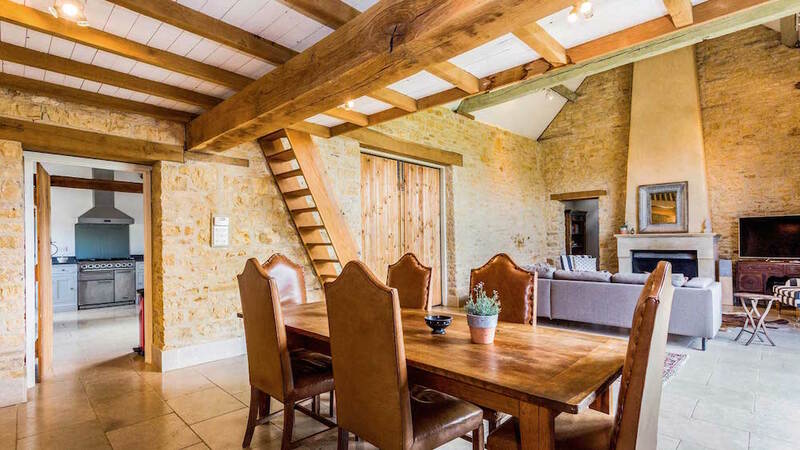 Marsh Farm is a stunning conversion set in the grounds of a 130-acre farm, an utterly idyllic, rural setting with beautiful views of the wild Cotswolds. 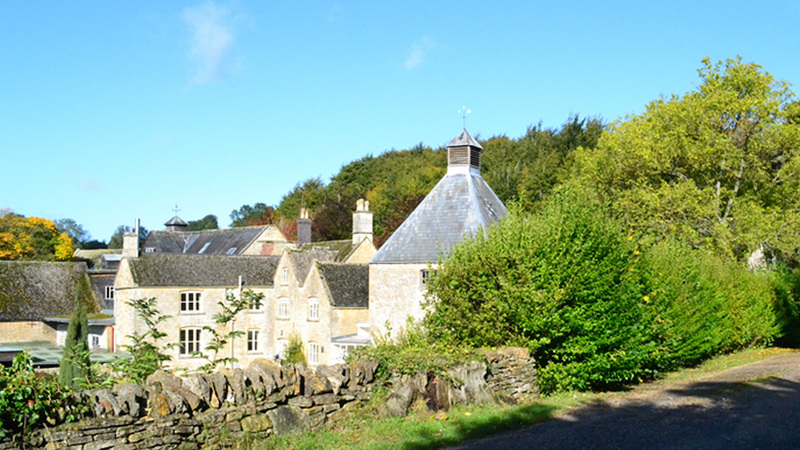 Although in a tranquil location with loads of great walks nearby (including the Cotswold Diamond Way if you fancy it) it is also a mere stiletto’s throw from popular Bourton. Sleep 2-4 in 2 bedrooms. When you’re in the Cotswolds, what are you going to do? OK, after you’ve hit the posh spa hotel, the pub and the gorgeous boutiques in Whatsit-on-the-Wold? Yup, it’s a fresh country walk. Good job that we’re spoilt for choice in Glos and Wilts. Check out our Winter Walks feature and in the meantime, grab your pack from the amazing Cotswold Discovery Trail, a really cool new way to explore the Cotswolds. A stunning map will take you on two day-long trails (one in the north Cotswolds and one in the south) for you to follow by car and explore on foot at the many Cotswold highlights set out on the routes. The maps are designed as treasure trails, with loads of information to uncover and questions and clues to answer on the way that illuminate and enlighten further on your surroundings. Got Mudlets? The Pack, which will be sent to you in the post, also includes activities for them including the Local Logo Challenge, a compass and car stickers. Ready for a deal? Get 20% off when buying online – just enter the coupon code Muddy-Stiletto.